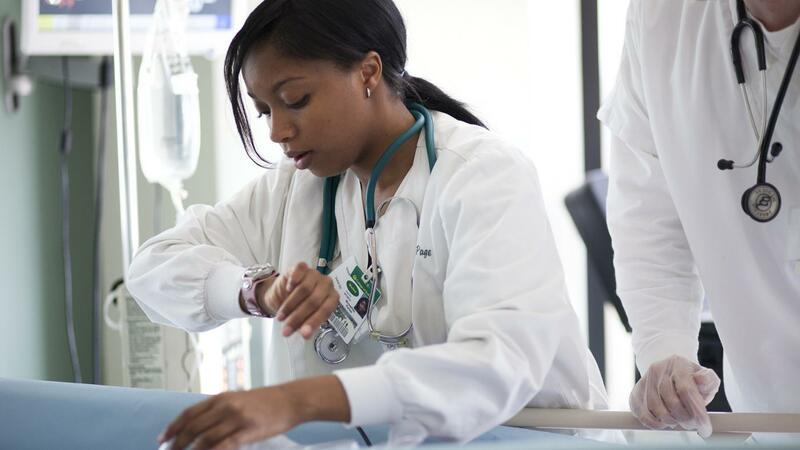 Candidates for the nursing assistant exam may obtain practice tests from study guides or websites such as Pearson Vue, Prometric and Tests.com. Prometric and Tests.com offer online practice exams, while Pearson Vue has a downloadable PDF version of The National Nurse Assistant Assessment Program test. Although most nursing assistant training programs prepare students with the knowledge needed for passing the test, taking practice exams help familiarize the candidate with the pressures of taking a standardized test, while helping the candidate study relevant information. Because the requirements generally vary from state to state, most online practice tests, including Pearson VUE, allow the test taker to choose from state-specific exams, as mentioned by NursingAssistantGuides.com. Some testing centers may also provide a dry run practice exam to familiarize candidates with the testing procedure and environment. In these cases, the candidate can schedule a practice test time and go to the local testing center, which can help reduce potential test-day mistakes, such as forgetting proper identification or being unfamiliar with the test taking software, according to Prometric. Utilizing study tools, including books and materials from the nursing assistant training program, can help keep the candidate's memory fresh. Other helpful study tools include using friends and family to help remind the candidate to study or administer pop quizzes, as state by NursingAssistantGuides.com. Where Can You Find the ATI and TEAS Practice Tests? What Is a Dispatcher Practice Test?